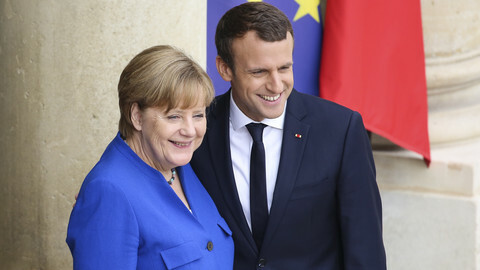 German chancellor Angela Merkel has expressed willingness to support French president Emmanuel Macron's ideas on EU reform as European leaders gathered for an informal dinner in Tallinn on Thursday (28 September). The German chancellor, who has just emerged victorious - but bruised - from the elections last Sunday, said ahead of the dinner that EU leaders should move forwards with reforming the EU based on Macron's plans. "There is a wide agreement between France and Germany when it comes to the proposals, although we must work on the details," Merkel told reporters before the dinner. 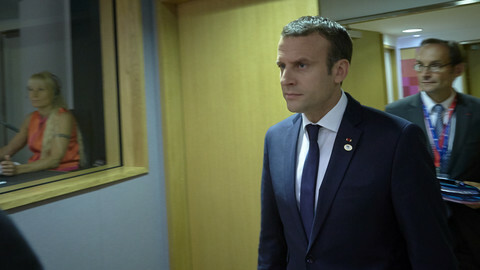 The 39-year-old energetic French president set out his ideas on Europe in a speech on Tuesday, urging fellow leaders to recommit to the EU project after Brexit, and deepen eurozone integration with a separate budget, and closer cooperation on migration and defence. He laid out his plans to leaders at the three-hour dinner, with an EU source describing it as "a very constructive and positive atmosphere". An EU official said it was a general discussion with little debate on the details. 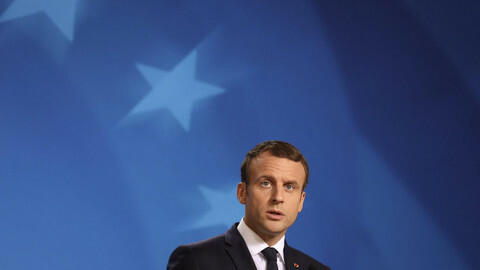 Belgian prime minister Charles Michel, leader of a staunchly pro-European country, expressed support for Macron's ideas, saying that Europe needs to be more ambitious. Based on the discussion, held at Tallinn's Kadriorg Palace, European Council chief Donald Tusk will continue consultations with member states in the coming two weeks and make proposals. 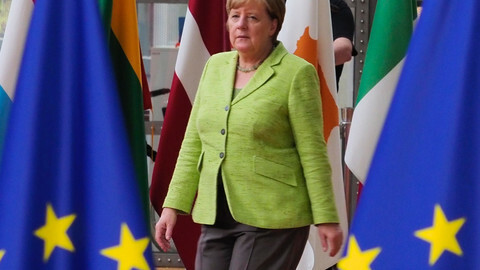 Merkel did not only want to focus on the future of Europe, as the situation is not "mature" enough due to the upcoming coalition talks in Germany, a diplomat told EUoberserver. After Brexit, EU leaders are looking at ways to deepen cooperation. European Commission president Jean-Claude Juncker had also presented his own vision for the future, where he invited all EU countries - without opt-outs - to join the euro currency by 2019. 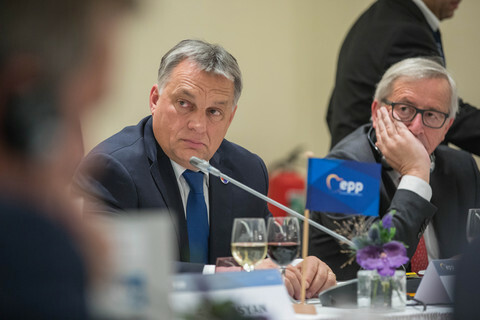 Last September, leaders met without the UK in Bratislava to kick start a reflection on the EU's future and produced a low-key vision in March at a summit in Rome. But some sounded cautious about grand ideas. Lithuania's president, Dalia Grybauskaite, tweeted that "European horizons drawn. Important to avoid mirages in the desert on the way." 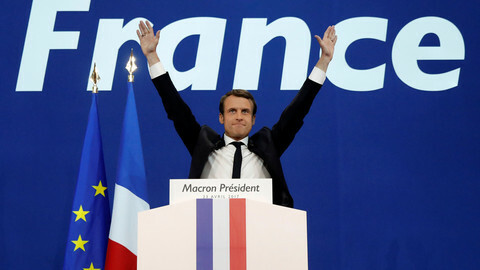 "Macron argues that all of Europe should be 'en marche' now," another EU source quipped, referring to the name of Macron's political movement. 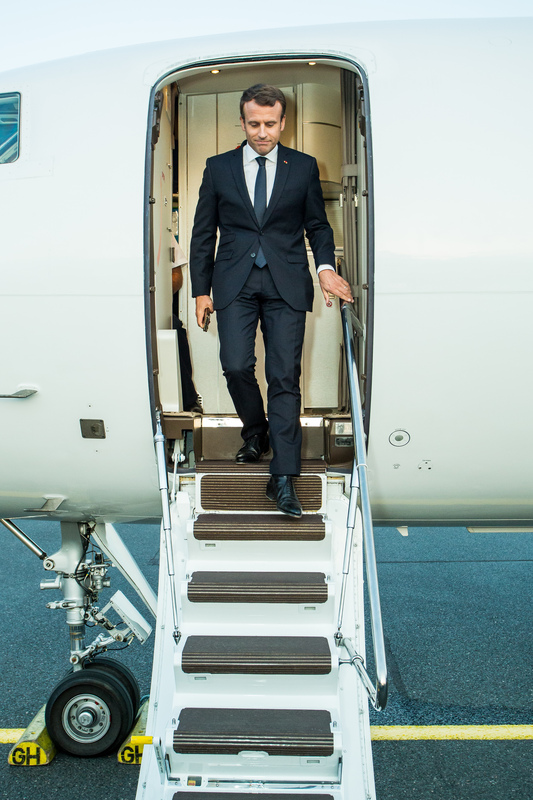 Macron's proposals include: a eurozone finance minister, budget and parliament, and a willingness to go at different speeds in the EU if some countries are not able or unwilling to deepen integration. With Macron's willingness to go for a multi-speed option, Juncker on the other hand is arguing for one speed with fewer new structures - no eurozone budget and parliament - but with all EU countries participating in them. According to one of the sources, Macron told colleagues that no state should be able to block the other, but that the issue of multi-speed EU was "not as visible in the discussions as expected". 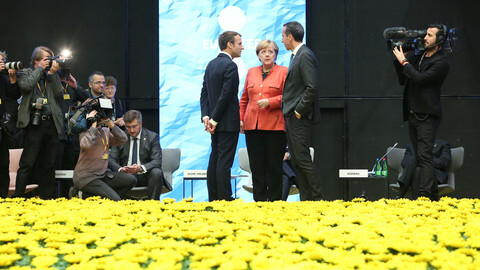 Some EU officials argued that the reflection period has been going on for some time, and instead of less palpable visions, leaders should focus on delivering practical solutions in the usual format of EU summits. 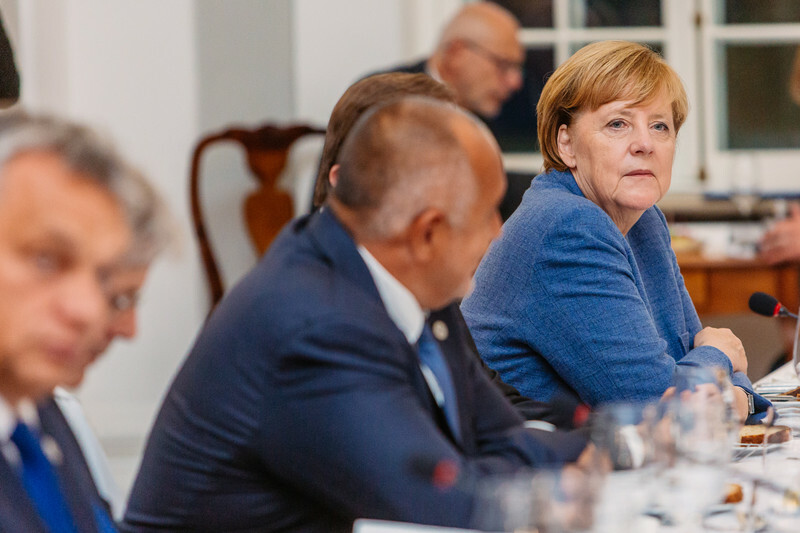 The informal dinner came as Merkel's party had suffered losses at last weekend's German elections, with the liberal and fiscally austere FDP and anti-EU AfD gaining ground. The EU's German-French engine was expected to restart after the German elections - but with protracted coalition talks and FDP's possible participation in government, the boost in EU reforms might have to wait. Merkel said Macron's reform ideas would "certainly" play a role in negotiations to form a new government. On Friday, EU leaders will continue talks on digital issues, a priority for Estonia, which holds the EU's rotating presidency. The leaders will discuss Macron's controversial idea of a new tax on technology giants like Facebook and Apple. UK prime minister Theresa May participated in the meeting, but Brexit was not on the table. Meanwhile, the fourth round of Brexit negotiations closed on Thursday among EU and UK officials. May spoke "in general terms and there was not much reaction to it," one of the sources said. Leaders are expected to discuss progress in the talks at their formal summit in October, but it is unlikely that they will give a green light to move talks onto future relations and trade. They might, however, signal to May that they are willing to explore the possibility of a transitional phase - as proposed by May in her speech last week in Florence. 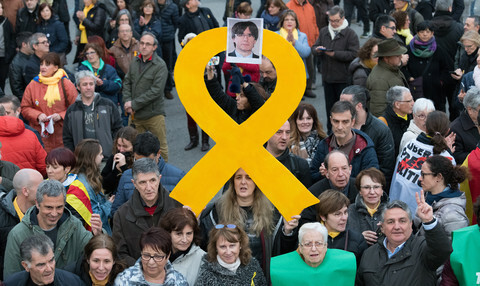 Spain's prime minister, Mariano Rajoy, was the only leader not present, staying home ahead of Catalonia's independence referendum on Sunday (1 October). Tusk to draw up action plan for EU leaders in two weeks. He likened the brainstorming session in Estonia to a Eurovision song contest of different voices.